Moon-buggy is a simple character graphics game where you drive some kind of car across the moon’s surface. Unfortunately there are dangerous craters there. Fortunately your car can jump over them! You can download it here. 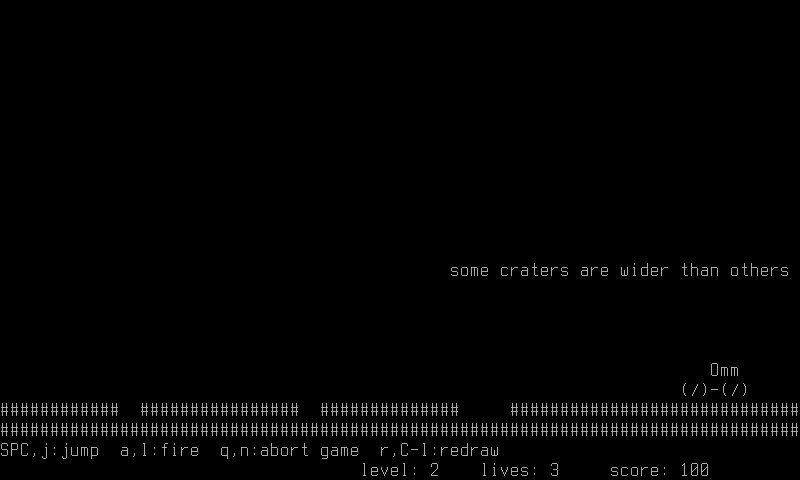 You can play this game with telnet or ssh on sdf.org.